The ability to perform simple daily tasks can make a big difference in people's lives, especially for those with spinal cord injuries. A UCLA-led team of scientists reports that six people with severe spinal cord injuries — three of them completely paralyzed — have regained use of their hands and fingers for the first time in years after undergoing a nonsurgical, noninvasive spinal stimulation procedure the researchers developed. "About midway through the sessions, I could open my bedroom door with my left hand for the first time since my injury and could open new water bottles, when previously someone else had to do this for me," said Cecilia Villarruel, one of the participants, whose injury resulted from a car accident 13 years earlier. "Most people with a spinal cord injury say they just want to go to the bathroom like a normal person again," she said. "Small accomplishments like opening jars, bottles and doors enable a level of independence and self-reliance that is quite satisfying, and have a profound effect on people's lives." "Within two or three sessions, everyone started showing significant improvements, and kept improving from there," said the study's lead author, UCLA research scientist Parag Gad. "After just eight sessions, they could do things they haven't been able to do for years," said V. Reggie Edgerton, senior author of the research and a UCLA distinguished professor of integrative biology and physiology, neurobiology and neurosurgery. The researchers placed electrodes on the skin to stimulate the circuitry of the spinal cord. They call their method "transcutaneous enabling motor control," or tEmc. In the stimulation, electrical current is applied at varying frequencies and intensities to specific locations on the spinal cord. "The combination of spinal stimulation plus training with the hands allows them to regain the lost function," Gad said. They were less dependent on their caregivers, and could feed and dress themselves, he added. "Improved hand function can mean the difference between needing around-the-clock care and living more independently," said Peter Wilderotter, president and CEO of the Reeve Foundation. "These findings bring great hope to those who were told recovery following paralysis would be impossible. As new discoveries and breakthroughs are uncovered, it is clear the word 'impossible' no longer applies to spinal cord injury." Edgerton's research team has worked with more than two dozen people with severe spinal cord injuries, the vast majority of whom have shown substantial improvements. "Nearly everyone thought the only people who would benefit from treatment were those who had been injured for less than a year; that was the dogma. Now we know the dogma is dead," said Edgerton, who is also affiliated with the University of Technology Sydney's Centre for Neuroscience and Regenerative Medicine in Australia. "All of our subjects have been paralyzed for more than a year. We know that in a high percentage of subjects who are severely injured, we can improve their quality of life." The spinal stimulation approach is inexpensive, does not require surgery and can be used in poor communities and countries without advanced medical facilities — "and the effects are in some ways, we think, better than surgery," Edgerton said. 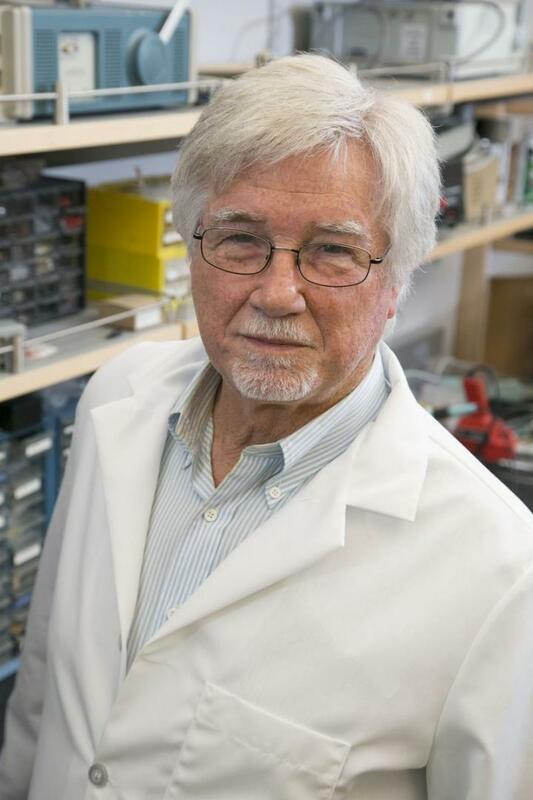 "I get criticized a lot for giving 'false hope' but we follow where the science tells us to go and just give the research results," Edgerton said. "Everything is telling us the nervous system is much more adaptable than we've given it credit for, and can relearn and recover from severe injury." Co-authors are Sujin Lee, a physician with the Veterans Affair Healthcare System Spinal Cord Injury and Disorders Center in Long Beach; Nicholas Terrafranca, CEO of NeuroRecovery Technologies, a medical technology company Edgerton co-founded that helps restore movement in patients with paralysis; Hui Zhong, a research scientist in Edgerton's laboratory; Amanda Turner, Edgerton's former administrative assistant, who helped to recruit and select the research subjects; and Yury Gerasimenko, director of the laboratory of movement physiology at Russia's Pavlov Institute and a researcher in the UCLA department of integrative biology and physiology. The research was funded by the Christopher and Dana Reeve Foundation; the National Institutes of Health's National Institute of Biomedical Imaging and Bioengineering; the Dana and Albert R. Broccoli Foundation; and the Walkabout Foundation.